High pressure sodium lights have made indoor growth of crops possible, but without the proper safety precautions these lights can do serious damage to the human eye. The damage done is often times irreversible so it is imperative that people working in grow rooms take the proper steps to protect their eyes. Safety glasses are designed specifically for this application. They filter out the light waves that cause harm to the human eye while also helping the wearer see their crops more clearly when they are working so they are not only being protected from dangerous frequencies of light but they are also seeing with more clarity and therefore are able to be more productive. Let’s gain a deeper understanding of the lights themselves and why it is so essential for growers and other grow house workers to protect their eyes from prolonged exposure to high pressure sodium lights. These lights are incredibly strong and they have worked wonders for modern growers. They allow growers to get quantity and quality out of their indoor growth harvests. However, the damage these lights do to human eyes is permanent so the proper safety precautions must be observed if you want to keep your eyes healthy. The sun emits radiation and so do high-powered grow lights. There are three kinds UVA, UVB, and UVC rays. Our atmosphere filters out almost all UVC rays so consumer sun glasses manufacturers do not bother making lenses that filter these rays out so if you were thinking you would just grab a pair of your sunglasses and you would also be protected from high sodium lights you are wrong. You need a specific type of lens. High pressure sodium lights and other strong grow lights also emit these radiation waves UVA, UVB, and UVC. UVC rays are great for plant growth, but they are terrible for your eyes! Research has shown that prolonged exposure to UVC rays leads to loss of color perception, the development of cataracts, and the inability to see at night-time. All of these conditions are permanent! If you care about your eyes, you need to make sure that you properly protect them while you are working around these high-powered lights. The good news is that there is a viable solution for protecting your eyes while still being able to work around high pressure sodium and metal halide lights. The solution is safety glasses that are specifically designed to filter out the frequencies that cause serious eye damage. 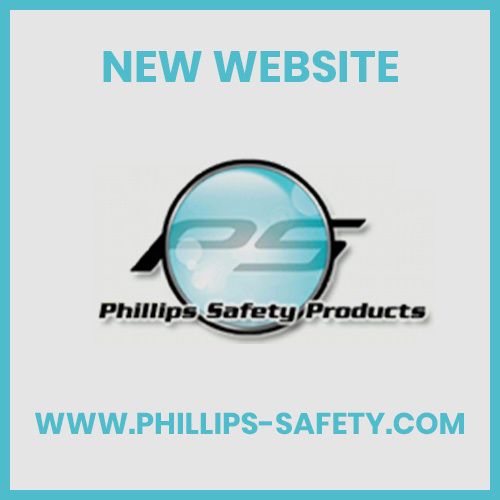 We are excited to share with you some of the great safety glasses that we make here at Philips Safety Products. We are industry leaders in occupational safety products and work with a number of clients from Space-X and NASA to MIT and CALTECH. Let’s take a look at some of these incredible glasses! This model features a thin metal wrap frame that offers supreme comfort, while providing maximum protection and visibility. You will not be able to find another pair of metal wrap frame glasses that provides the same amount of protection as model 116. The lightweight glasses are perfect for those who work long hours in the grow rooms. 1205 is a standard looking pair of safety glasses. Highly durable, lightweight, and comfortable, model 1205 is the industry standard for high pressure sodium light protection. This pair of glasses comes in a comfortable unfit nylon frame. The sleek wrap around design and rubber nose pads make this lightweight pair of glasses supremely comfortable while providing top-notch protection for the wearer. The lenses on this model also come standard with an anti-scratch coating so your glasses last longer and look better. This is the perfect model for users who also need to wear corrective lenses. This pair comfortably fits over your prescription glasses. They are made out of a lightweight and comfortable rubberized nylon frame that is also extremely durable which is one of the most important qualities for applications such as this. This model is by far one of the most fashionable pair of safety glasses ever made. You’ll not only be protected from dangerous light frequencies but you’ll also look good doing it in a pair of glasses featuring sharp corners and stylish angles. On top of that this pair also boasts a ANSI Z87 safety rating and comes with a perforated rubber nosepiece so it doesn’t slip off your face while you are working. This model is where fashion meets durability. 808 has an unfit nylon frame that wraps around your head utilizing rubberized nose and temple grips to ensure that your glasses never fall of your face while you are hard at work. These frames are all about functionality, but they look good doing it. This pair of glasses is designed to fit over any corrective lenses that you may already be wearing. The nylon frame is light and provides supreme comfort and the lenses have an anti-scratch coating making it an excellent, durable option for a number of applications. These are just a few of the wonderful glasses that we offer for high pressure sodium lighting applications. At Philips Safety Products we make a number of other safety glasses for a number of other applications as well! Contact us to learn more about all of our safety glasses and how to keep your eyes safe while working hard!